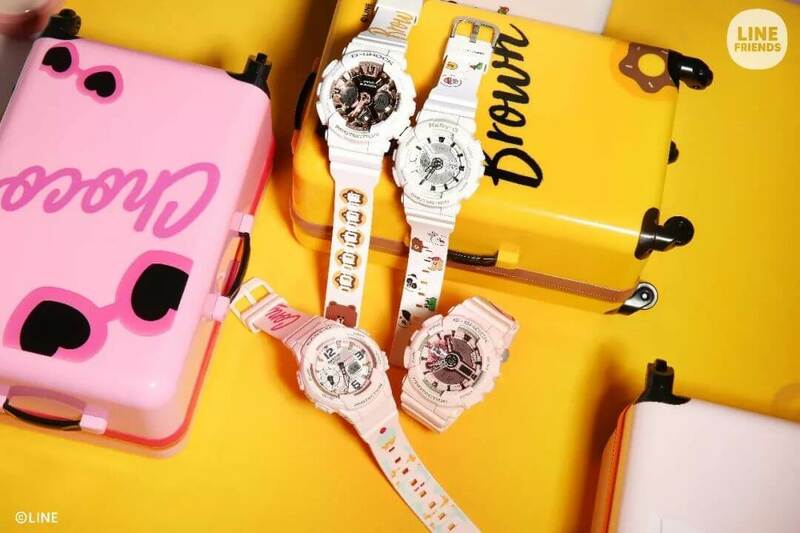 Following Japan’s Line Friends Choco x Baby-G release, China is getting a Line Friends collaboration series with two Casio Baby-G and two G-Shock S Series watches. 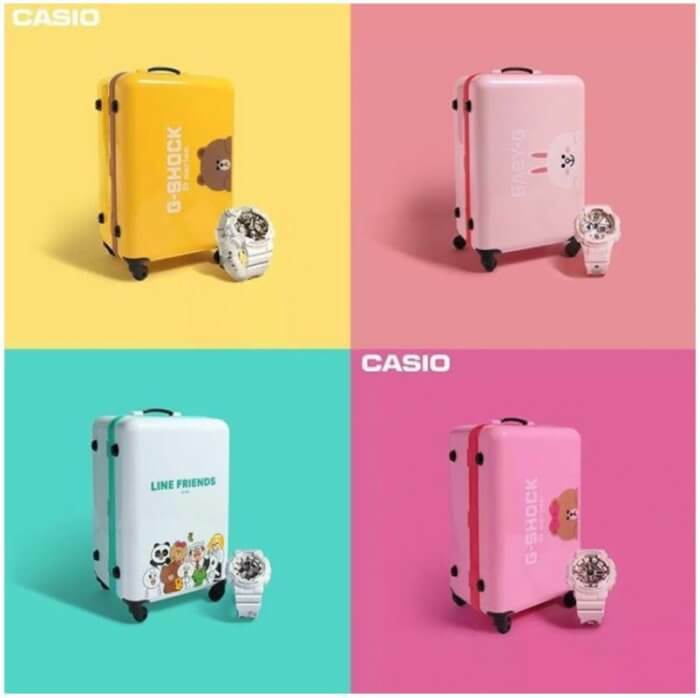 While these are just custom-band models without custom displays, they do feature unique Line Friends graphics with three watches devoted to a specific character and one to the Line Friends family. The theme of the series is “Cool Summer Play” and the watches appear to come with a mini wheeled luggage case. The pink Baby-G BGA-230SC-4BPR (¥990 CNY list) is dedicated to Cony the Big Sister rabbit. The white G-Shock GMA-S120MF-7A2PRL (¥1090 CNY list) is dedicated to Brown the Cute Bear. The pink G-Shock GMA-S110MP-4A1PRL (¥1390 CNY list) is dedicated to Choco the Trendy Girl bear. The white Baby-G BA-110GA-7A1PR (¥990 CNY list) is dedicated to the Line Friends family and includes the previous characters plus James, Jessica, Leonard, and Pangyo.